Well, 2015. Over and done. For good, it is gone. Somehow that makes me sad. But just when you are a little glum about the old “New Year” being over forever and ever…. another NEWER one pops up. What will it hold? Well. We simply don’t know. It is an unknown frontier. But we can focus our intentions. We can put our time and our energy in to good thoughts and high-minded matters. And hopefully, all that positive energy will manifest in the day-to-day of things. 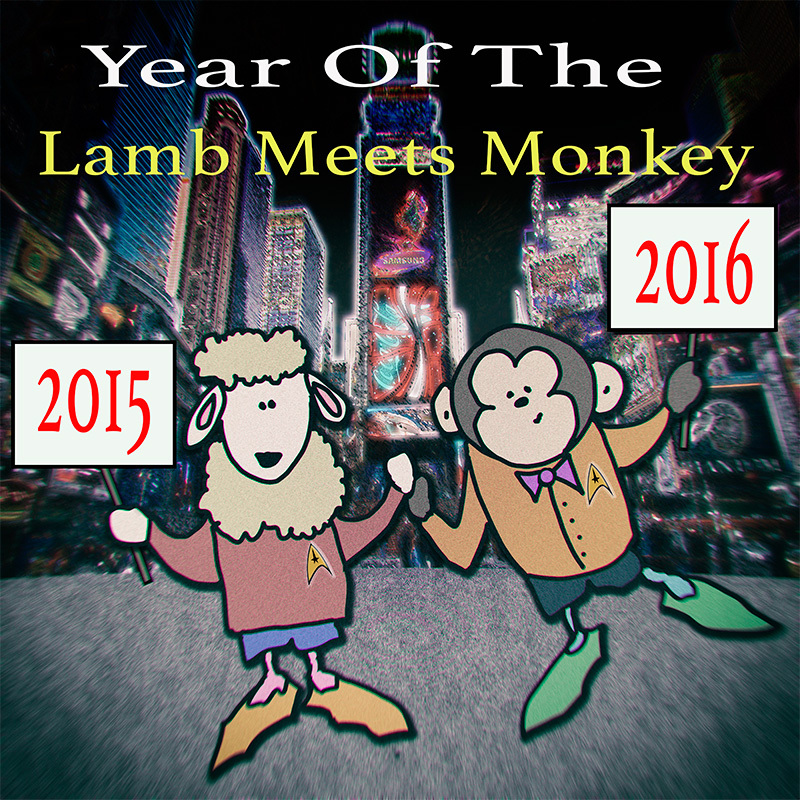 2015 was Year of the Sheep. 2016 is Year of the Monkey. In the way of the Chinese Zodiac… there it is. They say the year of the Sheep is a year for nourishment and growing stronger. And the year of the Monkey is lively. Especially… on New Year’s Eve… when I am up past my bedtime. No matter what year it is… may yours be filled with much love, happiness, compassion, prosperity, health, and goodness. Here’s to you friends. As Spock (born in the year of the Sheep… and died in the year of the Sheep) used to say….